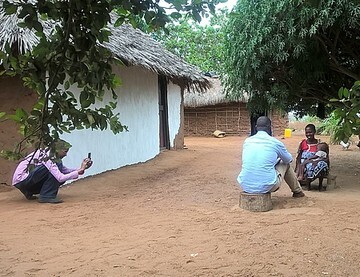 Human Rights Defenders (HRDs) and Environmental Human Rights Defenders (EHRDs) protection and documenting of their situation in the communities residing around extractive industries in the coastal region of Kenya, is a program that has been necessitated by our work. Working on environmental and human rights necessitated the protection of HRDs and EHRDs as they represent respective communities we work in. Their lives and those of their families are in constant risk as they work against powerful corporates to put a stop to impunity. We intend to form Clusters of these rights defenders in different communities to strengthen their work and have their voices heard as a group. Global witness in its expose “Deadly Environment” terms Environmental Human Rights Defenders as the most at risk group of HRDs. The appointment of the 1st ever UN special independent mandate on Human Rights and the environment Dr. John Knox further illustrates the nature of seriousness. Most are not professional activists like lawyers or politicians as is most common with political and civil rights defenders. Most of them are normal individuals who mainly depend directly on the earth for day to day sustenance i.e. natural water sources like streams and rivers, crops from farming and herding etc. Their struggle most commonly stems from infringement of their natural environment mostly by corporate interests in natural resources extraction. They neither have the skill nor the economic power to take on the challenge to protect their environment and they are even less prepared for the corporate might that usually fights back. They are usually more vulnerable than even they are aware of. Currently we have three EHRDs that are under our protection with a security protocol in place under the rapid response department. The security protocol involves trainings on how to minimize risks, advocacy tools available to continue with their environmental human rights work and evacuation plan in case of danger.